Lake Mohave Bite is Picking Up. We have some catfish on the prowl so to say. Along with our striper and trout bite there are some Channel Cats being landed. 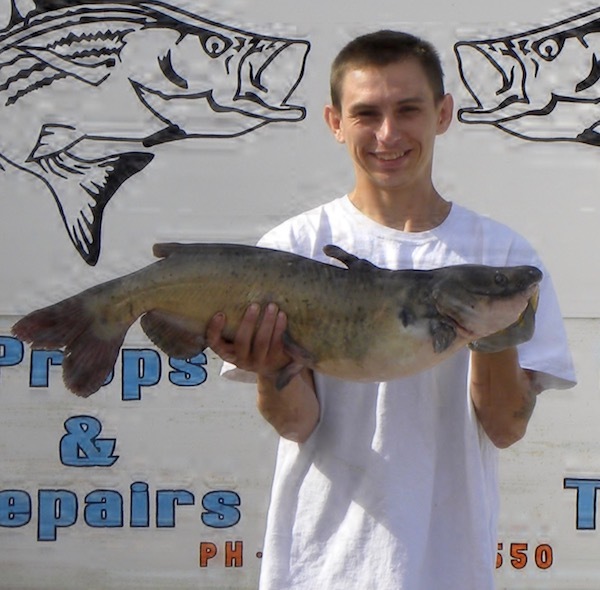 Our local angler Andrew Wright was fishing from a friends boat using anchovies and landed a 11.88 pound Catfish at 29 and 3/4 inches. They were fishing for stripers and were surprised with this catch. I have heard that up on Lake Mohave the bite is picking up. 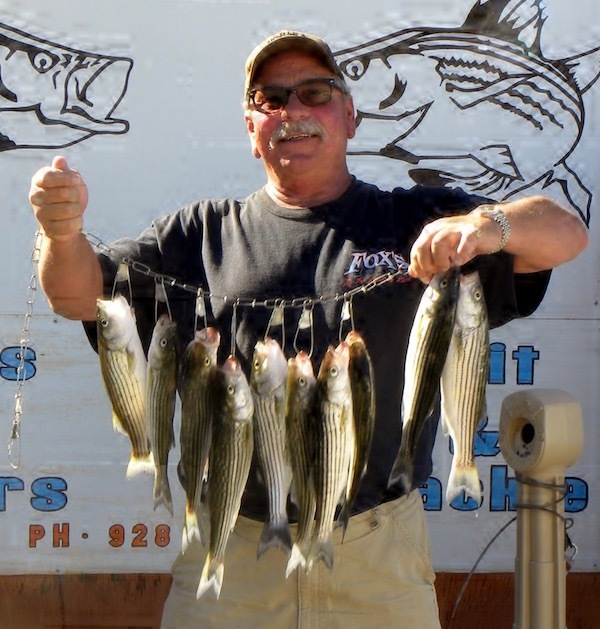 With stripers showing signs of activity in the coves and off the points near the dam. There are reports of boils in various spots with fish running in the 4 pound range. While in your boat you need to close in on them slowly for the best success. The evening hours has been producing the best. Watch for the birds or ripples in large areas and that should be the bait fish that the stripers are feeding on. Telephone cove has been doing ok for stripers and some catfish action.